- Weather: weather information (from Weather.com) for 5 days. 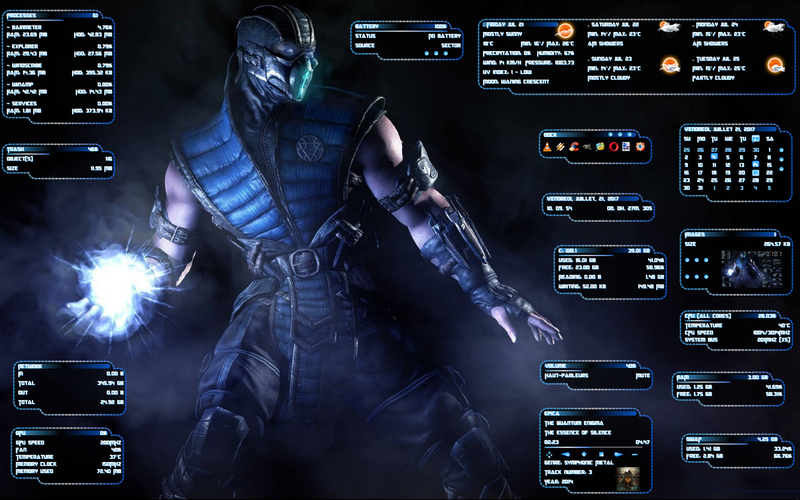 Wallpaper "Sub-Zero". Original author unknown. Link in the "info.txt".